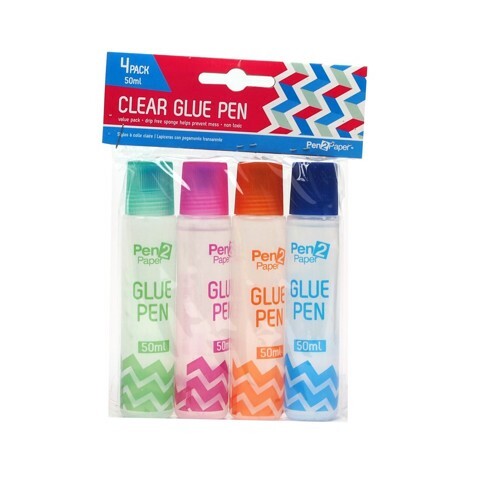 Glue Pen Clear 50Ml 4Pk. Each Glue Stick Is 12cm Tall And Holds 50mL. Clear Tubes W/Assorted Colour Lids l Clear Glue. Solid Content 10%. 237G Packaging: OPP Bag with Paper Header Card.